Dixon, David. Never Come to Peace Again: Pontiac's Uprising and the Fate of the British Empire in North America. Norman: University of Oklahoma Press, 2005. Dowd, Gregory. 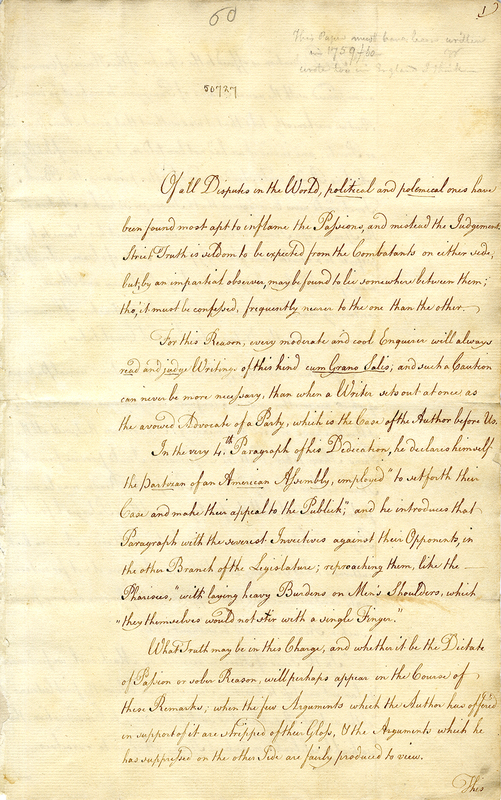 A Spirited Resistance: The North American Indian Struggle for Unity, 1745-1815. Baltimore: Johns Hopkins University Press, 1993. Goode, Michael. 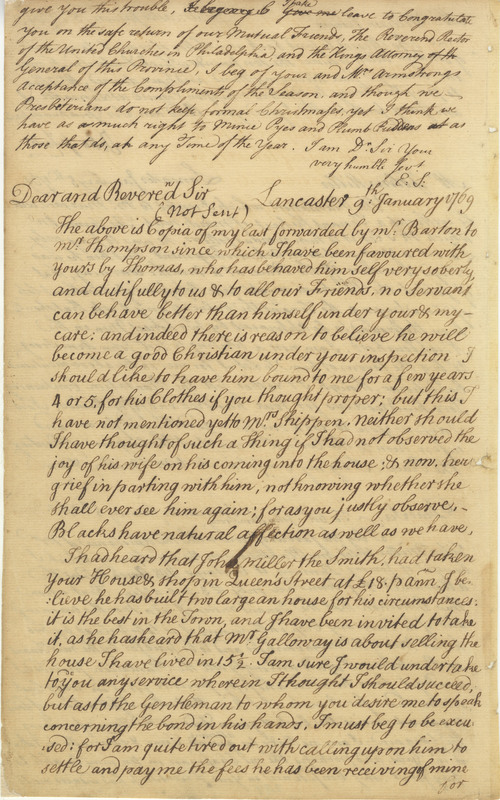 "Dangerous Spirits: How the Indian Critique of Alcohol Shaped Eighteenth-Century Quaker Revivalism." 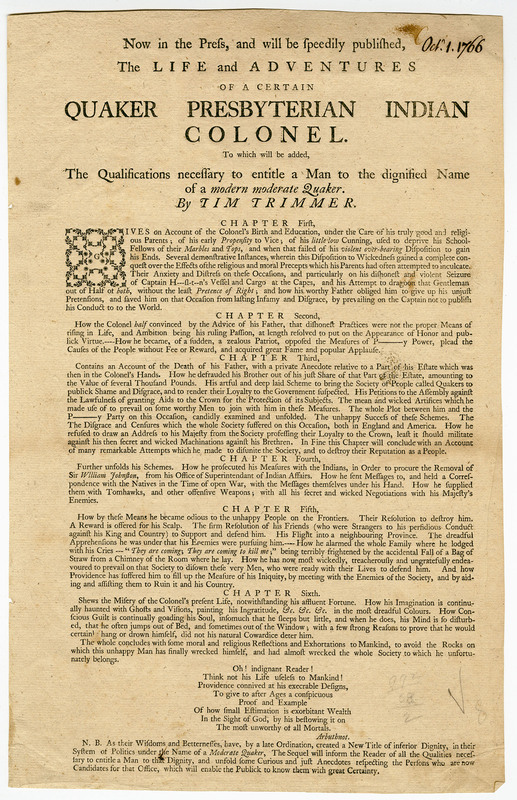 Early American Studies 14.2 (Spring 2016): 258-283. Gordon, Scott Paul. 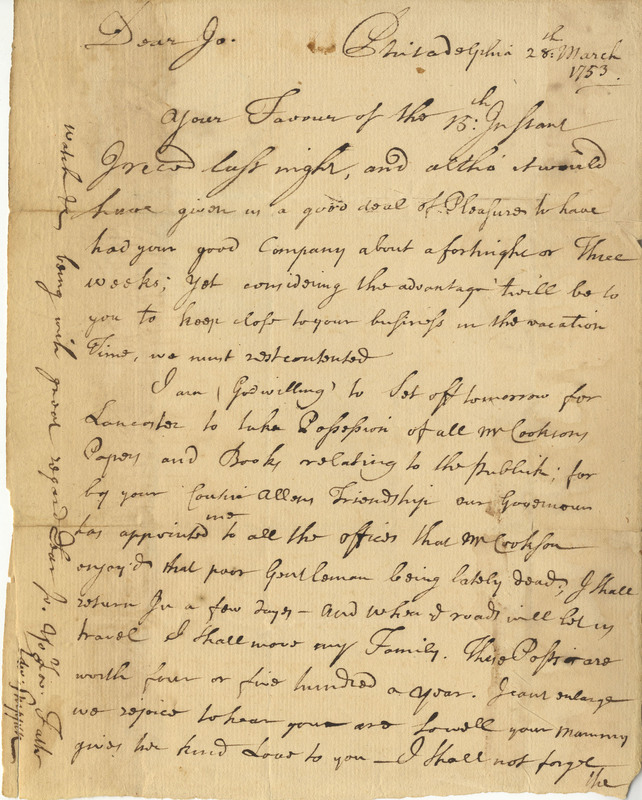 "The Paxton Boys and Edward Shippen: Defiance and Deference on a Collapsing Frontier." Early American Studies 14.2 (Spring 2016): 319-347. Eustace, Nicole. 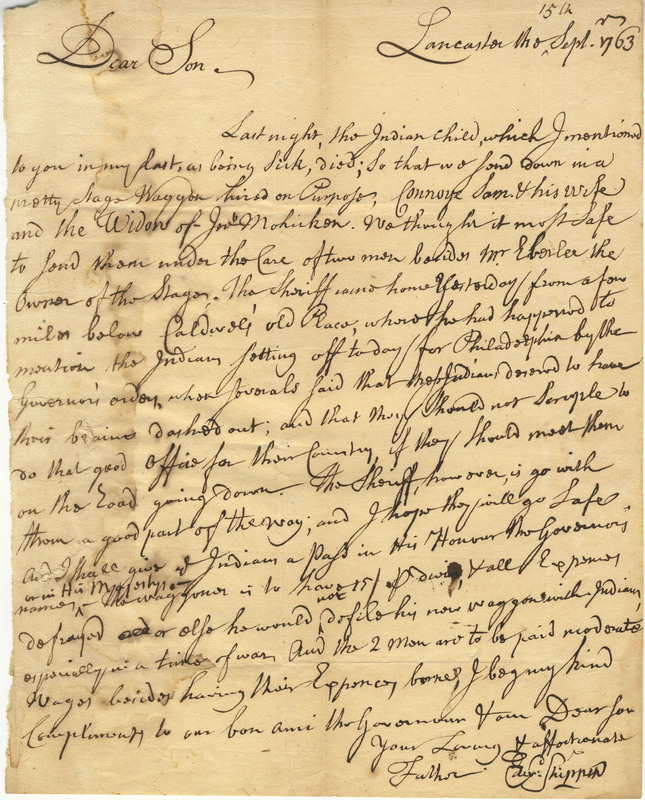 Passion is the Gale: Emotion, Power, and the Coming of the American Revolution. Chapel Hill: University of North Carolina Press, 2011. Griffin, Patrick. 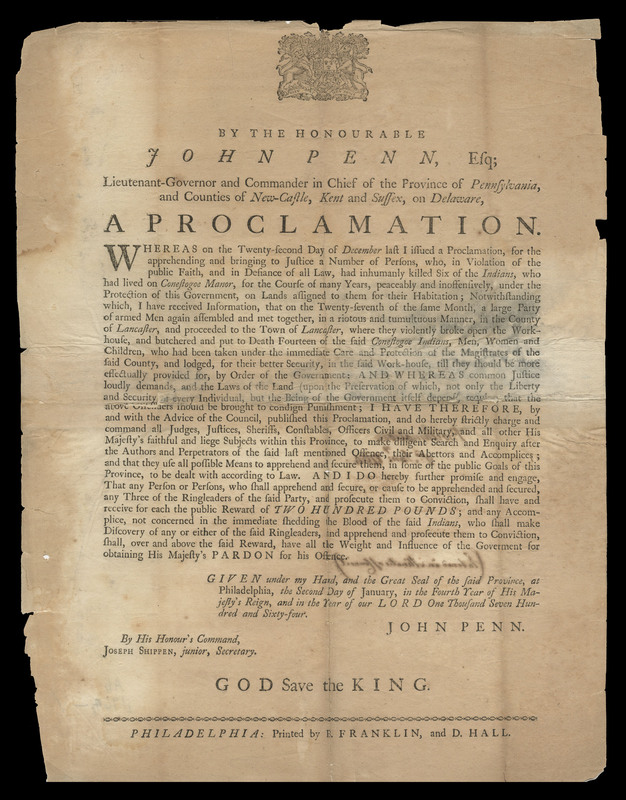 American Leviathan: Empire, Nation, and Revolutionary Frontier. New York: Hill and Wang, 2008. Kenny, Kevin. 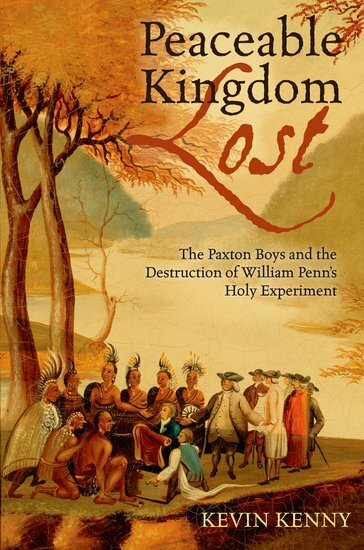 Peaceable Kingdom Lost: The Paxton Boys and the Destruction of William Penn’s Holy Experiment. Oxford: Oxford University Press, 2009. McConnell, Michael. 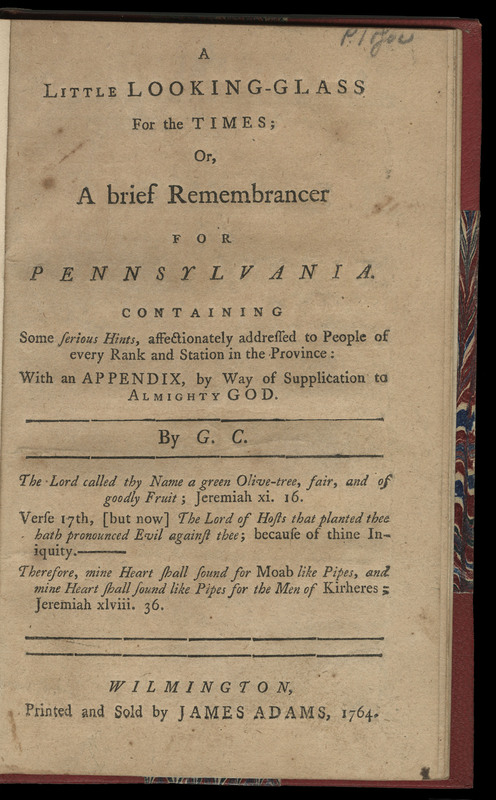 A Country Between: The Upper Ohio Valley and Its Peoples, 1724-1774. Lincoln: University of Nebraska Press, 1997. Merrill, James. 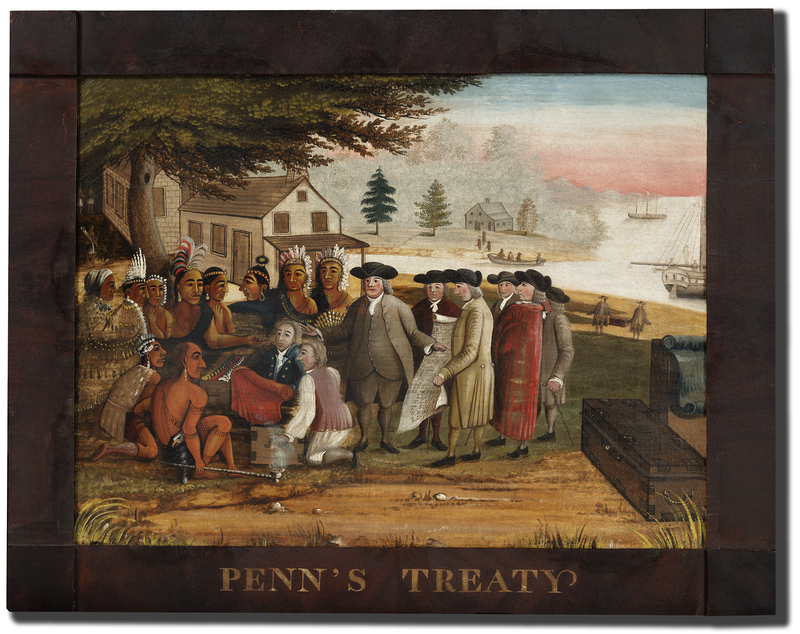 Into the American Woods: Negotiations on the Pennsylvania Frontier. New York: W. W. Norton, 2000. Merritt, Jane. 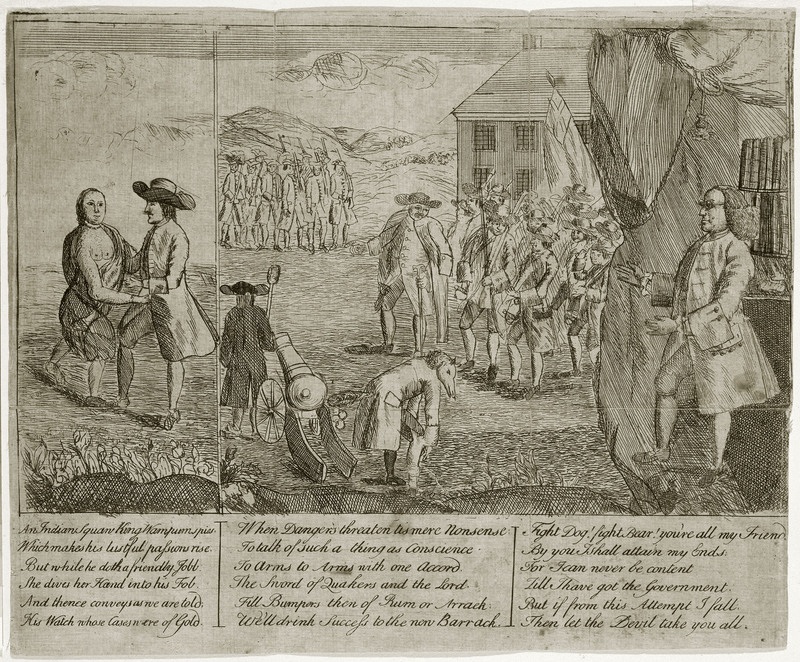 At the Crossroads: Indians and Empires on a Mid-Atlantic Frontier, 1700-1763. Chapel Hill: University of North Carolina Press, 2003. Middleton, Richard. Pontiac's War: Its Causes, Course, and Consequences. New York: Routledge, 2008. Olson, Alison. 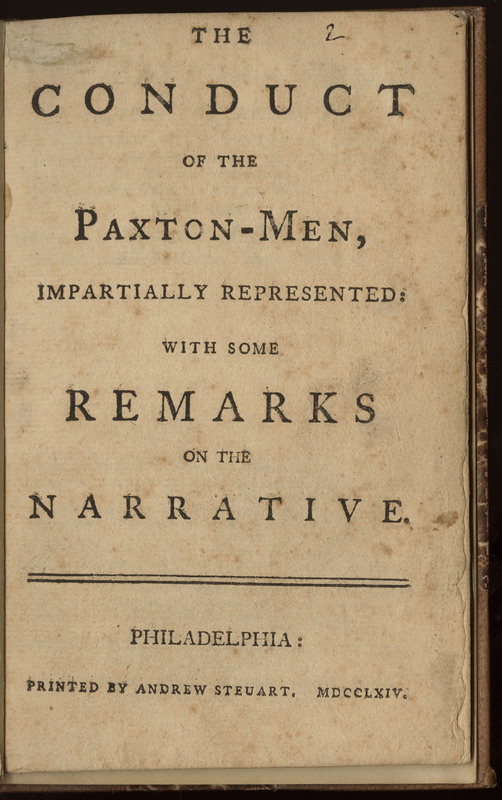 "The Pamphlet War Over the Paxton Boys." Pennsylvania Magazine of History and Biography 123.1/2 (January - April 1999): 31-56. Richter, Daniel. Before the Revolution: America’s Ancient Pasts. Cambridge: Harvard University Press, 2013. Ridner, Judith. 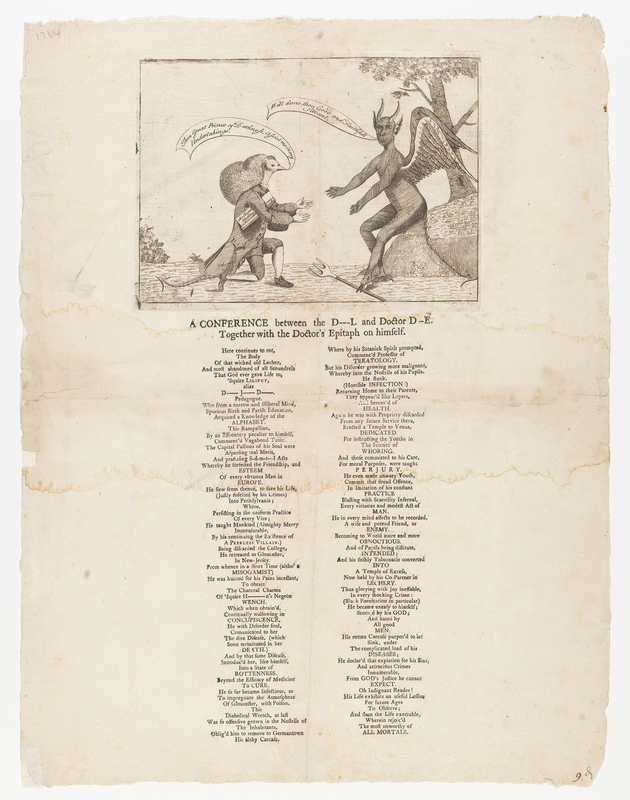 "Unmasking the Paxton Boys: The Material Culture of the Pamphlet War." Early American Studies 14.2 (Spring 2016): 348-376. Silver, Peter. Our Savage Neighbors: How Indian War Transformed Early America. New York: W. W. Norton, 2008. Smolenski, John. 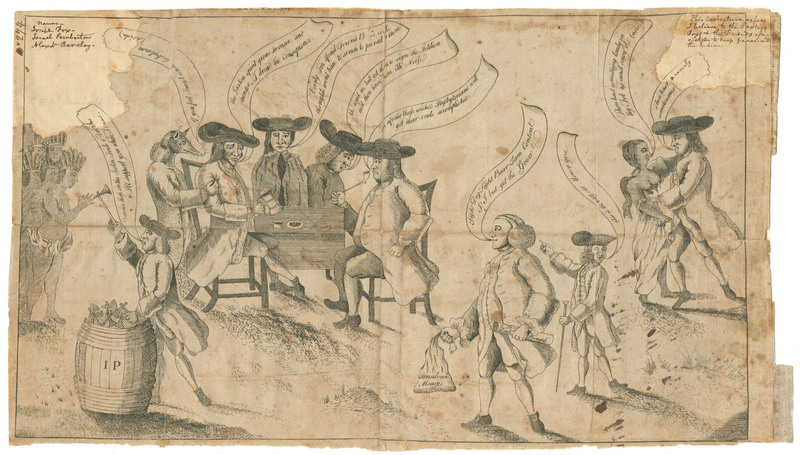 "Embodied Politics: The Paxton Uprising and the Gendering of Civic Culture in Colonial Pennsylvania." Early American Studies 14.2 (Spring 2016): 377-407. Spero, Patrick. 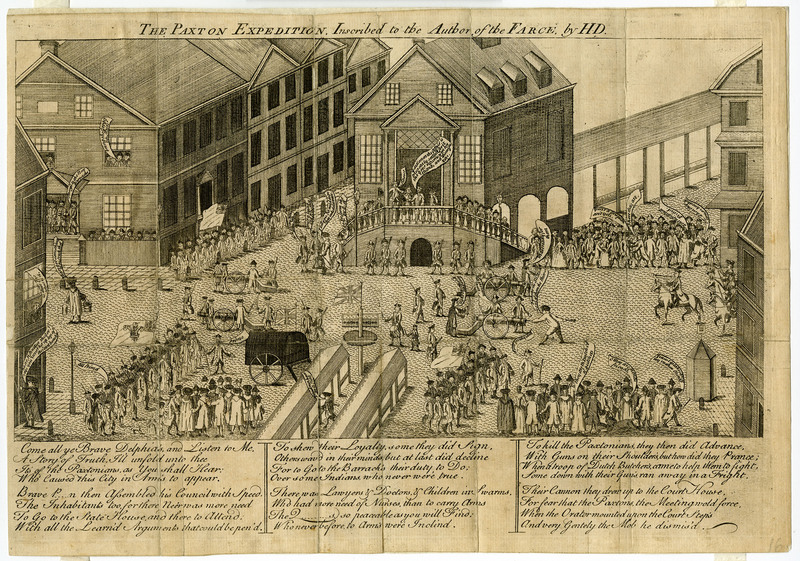 "1763: Pontiac and Paxton." 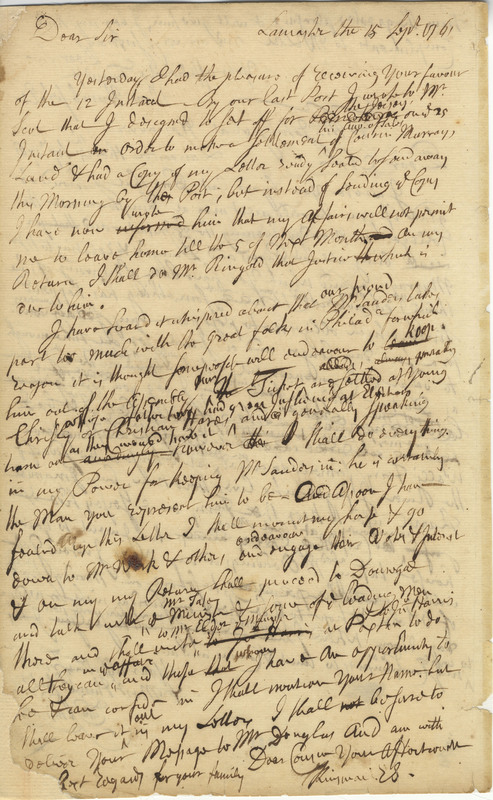 Early American Studies 14.2 (Spring 2016): 199-202. Ward, Matthew. 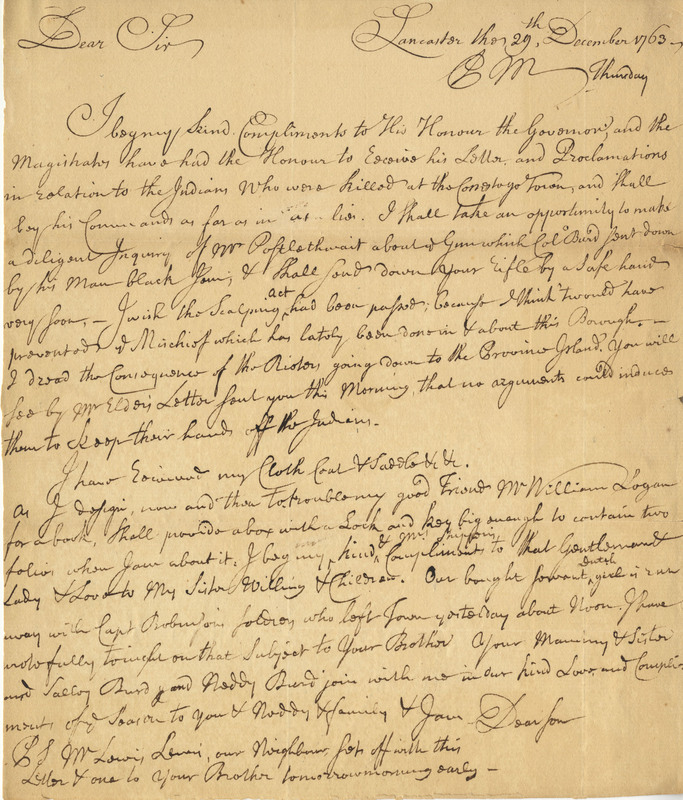 Breaking the Backcountry: The Seven Years’ War in Virginia and Pennsylvania, 1754-1765. Pittsburgh: University of Pittsburgh Press, 2004. White, Edward. 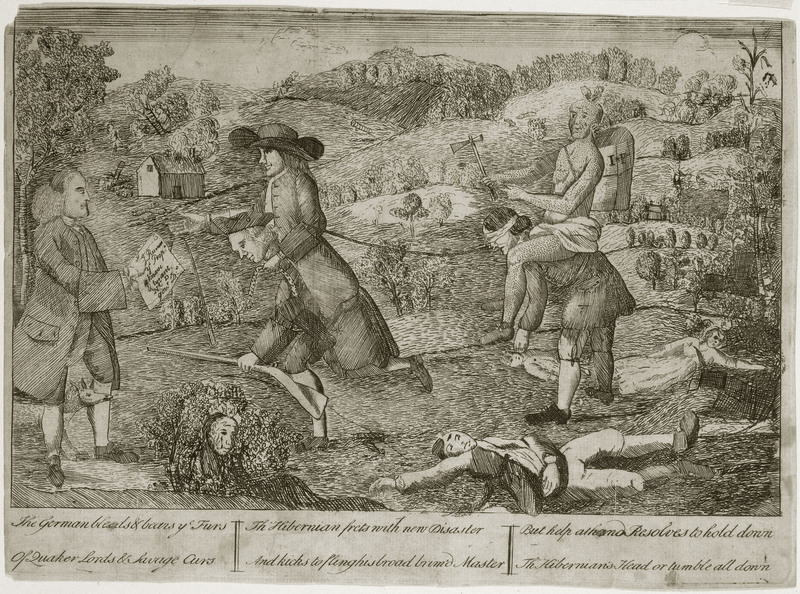 The Backcountry and the City: Colonization and Conflict in Early America. Minneapolis: University of Minnesota Press, 2005. White, Richard. 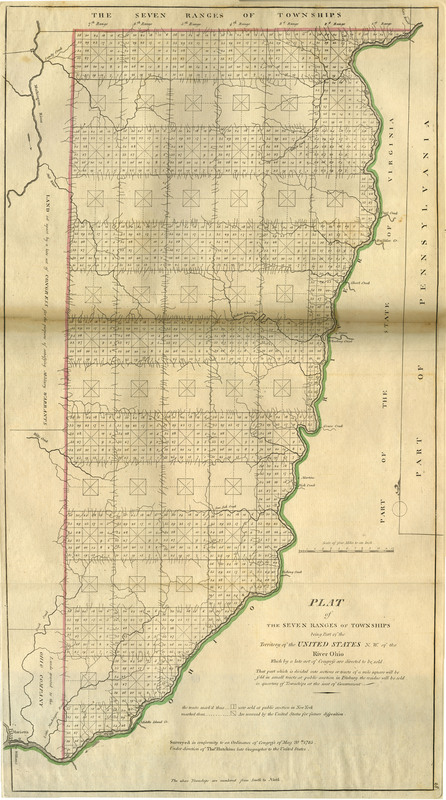 The Middle Ground: Indians, Empires, and Republics in the Great Lakes Region, 1650-1815. New York: Cambridge University Press, 1983.